I began this blog as a personal thing, enabling me to think out loud and expecting a few people to read and hopefully helping and encouraging some Christians (as well as infuriating others!) and stimulating non-Christians to think about Christianity. It has really morphed into something else. As the graph shows the number of views has increased from 55,000 o over 1 million this year (and there are still two months to go)…the 381,000 visitors have come from 180 countries…..and the blog is often cited in media, including the secular media. Sometimes that is a good thing! In tandem with the blog a couple of years ago we set up a podcast called Quantum of Solas. 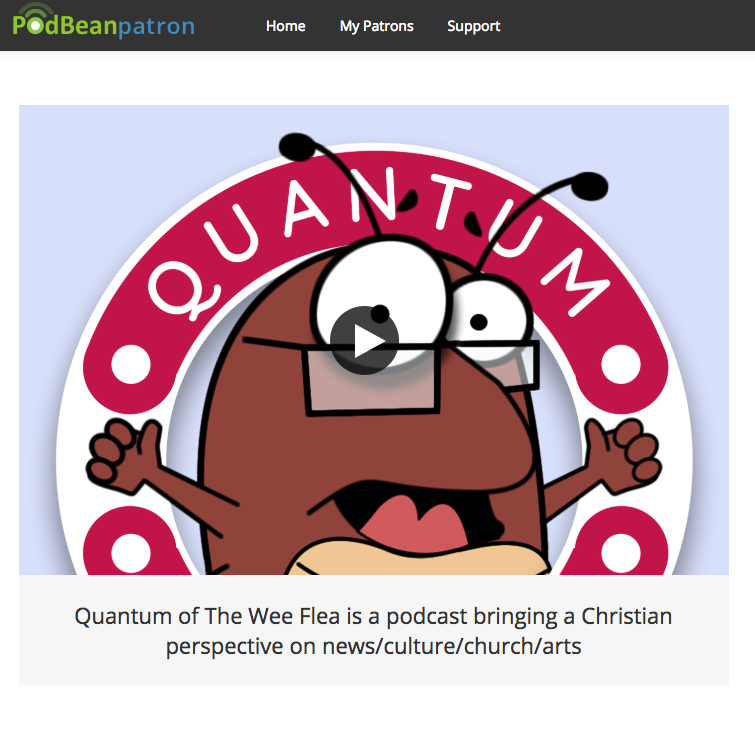 But with the departure of Al to fields new and my desire to be able to speak freely without compromising Solas, we decided to take the podcast under the wing of The Wee Flea blog. The purpose of the Podcast is to look at news, culture, arts etc in our society from a Christian perspective. (note that I do not mean that everything that is said on Quantum is THE Christian view as if there were no other – the Bible does not give us a list of approved political positions! I am just simply thinking out loud and trying to view the culture through a biblical lens). 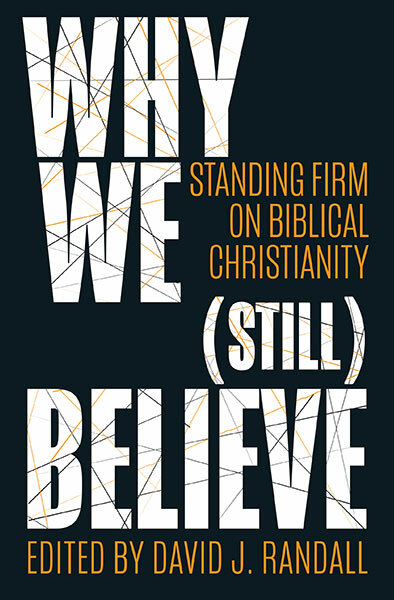 In a world where mainstream media are increasingly prejudiced and bias and where there is less emphasis on objective truth and it all becomes about feelings – I want to try and provide some clarity in the midst of the confusion. However I have no technical ability or understanding whatsoever. And as a busy pastor with a congregation to look after and a wider public ministry, including through the Wee Flea blog and in the secular media (and also editor of The Record) I don’t have the time to develop the skills necessary. So we have to pay someone to do the technical side and we also need to replace equipment, pay licences etc. I really can’t do this on my own….so if you would like to help this ministry there are two things you can do. First of all pray for the work (it is a spiritual battle) and secondly contribute through this crowdfunder….it may be that the Lord does not want me to continue this ministry and I will be happy to bow out of the podcast world – but if he does then the resources will be provided! I have no independent or family wealth and rely on a Free Church ministers salary so I do not have the means to continue this on my own. With a million views a year have you thought of putting a few adverts on your blog from Christian friendly companies or getting Christian friendly sponsors? It would help to pay for affiliated projects like Quantum. I’m not sure that any one would want to be associated with me! Your doing a great job brother and your research/common sense/biblical opinion/political intercessions/boldness are valued by evangelical Christians all over the world – the increased stats show that is not just an opinion but a fact! Heres a list of Big Companies that have strong Christians sympathies in the US of A (see link below). Then of course theres StageCoach (Brian Souter), Global Energy Group (Roy MacGregor) and of course Ashers Bakery closer to home – companies all run by good and godly Christians. Give them a ring and see what they say. All you need is a few of these companies to sponsor you with adverts and your sorted! Hi David, I clicked onto your crowd funding link and Tried to make a one off payment to pay for one podcast but it appears that monthly payments are the only option. Please help us help you. How do we make a one off payment? Gratefull for your timely ministry. Hi Ray – if you want to make a one off payment I guess the best thing to do would be to e-mail me and ask for my details…. Thinking of getting behind this but a quick question: what are the listening figures for the podcast? The blog numbers are hugely impressive and I’d love to know what the click through to the podcast is. What are the listenship figures — thanks for all you do, David. At the moment it is around 1200-1400 downloads per episode but they are steadily increasing….. I, too, would like to make a one off contribution so your reply above helps. Why is the fund using dollars not sterling? I really appreciate the podcasts and find them helpful and informative. The other way is to pledge an amount and once it is paid stop the pledge! I was searching for something similar to Rabbi Daniel Lapin or Dr Albert Mohler, both of whom discuss current news from a Judeo/Christian point of view, but with a mainly UK background. In Quantum I found it. Please don’t stop. I’m not sure there’s anything else similar covering the UK.